creative savv: How willing are you to try new foods? Yesterday was a teacher work day at school, so the girls had plans that didn't involve textbooks and scientific calculators. The two of them had a babysitting job in the AM. After I dropped them off, I had some time to kill in that region of our town. I stopped at the pharmacy to get my B vitamins, browsed through the local Hallmark to see their fall holiday items. Then went over to the grocery store to check for marked down milk, as we're down to the last few cups of milk in our fridge. I got lucky and found 4 half gallons of milk, marked down. Then I mosied on over to the packaged deli area. There in the bin were some tofu hot dogs (nitrate free), tempeh, veggie Italian hot links, yogurt, Promise margarine spread (no trans fats, label says it has Omega-3s) and some veggie pepperoni slices. I passed on the yogurt, as I make it for less than the clearance price. I did buy the one tub of margarine, the one package of hot links, and all the tofu dogs. I didn't think the pepperoni slices were a great deal, for such a small package. I'll be slicing the Italian hot links to use for pepperoni on pizza, instead, at about 1/3 the price. The tempeh . . . hmmm . . . I don't really know what it is or how to cook with it. Yes, I could find out online. But there's that chance that we won't like it, and even at a mark down, it may not be worth it. Then the other side of my brain says, "just try it". Being a marked down item, it's a small financial risk to try it out, right? So if ever there was a time to try tempeh, it would be when finding it for a low price. In the end, I decided "no thanks" on the tempeh. It looked so foreign to me, and I had no idea if it was priced really well or not (sometimes the markdowns are not such a great deal after all). 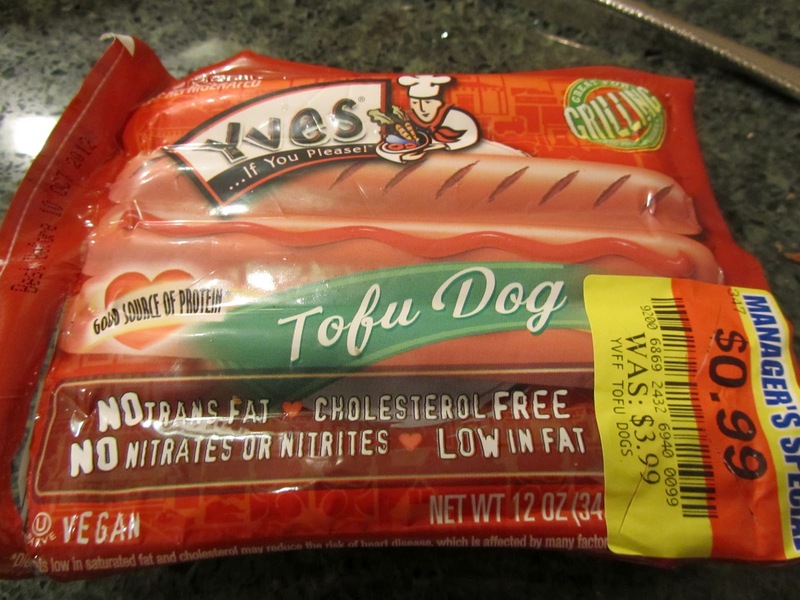 But I did buy the tofu dogs. I thought about this later. If I always had this attitude of not trying something new, simply because it looks foreign, I'd never have tried kale (which grows fabulously in our garden, and I do indeed like it), herb tea (some varieties look and taste like dried grass, but not all, fortunately), and tofu (which looks like white jello, yet it does so well in stir fry). Sometimes trying something new opens up a world of possibilities. I guess you could say that sometimes I'm an adventurous eater, and other times I'm a bit shy with new foods. Where do you fall on the adventurous diner spectrum? Will you try something new if it's a great deal? 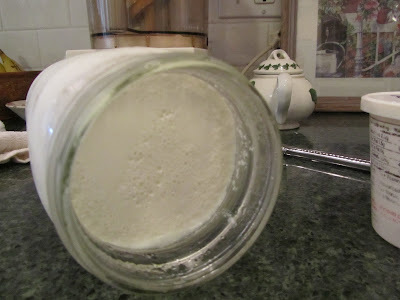 Or will you cynically think, "there's a reason this stuff didn't sell before the sell-by date, the stuff is horrid!" The verdict on the tofu dogs? Well, they were a lot like hot dog flavored bubble gum, a bit rubbery, but not horrible. I'd eat them again. And good thing, too, as I bought 3 packages of them. As long as the ingredients aren't too synthetic, I'm prepared to give a 'I've never tried that before' good deal a go! Maybe I should have given the tempeh more consideration in the store. That's a good point about the ingredients label. This was the natural foods/vegetarian section of the deli. It probably was fairly "clean", as far as ingredients go. I actually like tempeh, although I'm not totally sure what to do with it. It has a nutty flavor and feels more substantial than just tofu... I've tried steaming it, cutting it up, and then making a stir-fry with it. It's pretty good. Not everyone I know likes it, but I think out of all the vegetarian protein substitutes I've had that's my favorite. In the moment at the store, I was wondering whether tempeh was the soy-based product or the wheat gluten product (I now remember that the wheat one is seitan). I'm now wishing I had bought it, just to try it out. I, and my family, too, might have enjoyed it in a stir-fry. Thanks. Yeah, I was thinking along those lines. We had them bare with a baked bean casserole. If I'd just sliced them and browned them in a skillet first, they'd have had a better texture (or at least the texture would've been disguised). I'll try slicing them and adding to something for the next use of them. And like I said, they weren't horrible, just came as a surprise when biting into them. I'll try that with some of the rest of the dogs! we actually go out of our way to buy at least one new item when we grocery shop that we have never tried before. we love trying new foods and then researching where it comes from, how it is typically used etc and makes for great fun. That is a really great idea and a lot of fun. Agreed, that is a great idea! I did this with fruits and vegetables when my kids were young. We had a lot of fun with it. I remember sitting on the kitchen floor with my son trying to get a coconut opened. It was a fun afternoon! Within the blogging community, I've learned a lot about foods I've never tried and am eager to find in our markets. "Hot dog flavored bubblegum". Now that conjures all kinds of images. They tasted good, just had that strange texture, trying to bite down all the way, and having difficulty breaking through. Gotta be honest about it. But perhaps there are better ways to prepare tofu dogs. I'll have to look into that, for the next couple of packages. It is a good idea to regularly try different foods. My husband's family has exposed me to Swiss chard (yum!) and kale (not my fave, but I can eat it). Local ethnic favorites are fun to try, too. I have discovered that my kids aren't quite as picky now that they are school-aged, so in the past year I've added 3 or 4 new meals to our repertoire. Mostly because I get bored with the same-old, same-old. I agree with you, it is a good idea to try new things. 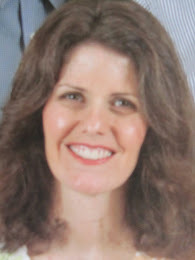 Both so our kids will be open to trying new foods when the opportunity arises, but also so that we don't get stuck in a rut with our own eating habits. We never know what's down the road for our health, which may require dietary changes. My father, a big meat and potatoes lover, had to change his diet to reduce cholesterol. The transition to a non-beef, non-pork, fat-free dairy menu wasn't always easy. Hot dog flavored bubble gum threw me for a minute..lol. I have tried tofurkey products and really liked them, but they are simply cost prohibitive....and now that we're back in the country "tofu" is considered some weird freaky food...lol...kind of funny in a way. We do try some new things. Often for us it is a different brand of something...sometimes it works and sometimes it doesn't. I have a very limited amount of things I am brand loyal to, but those things have been tested (by us) and are our favorites. We do have a large Hispanic section (new to our area) and I try to pick up things from it to try. You know what's funny? I remember when yogurt, avocado and sprouts were considered weird freaky health food. So it's funny to hear that tofu is viewed the same way where you live. I like the ethnic sections of the grocery store. For one thing, you can often find the same items sold there, but different brands, for much less. Like spices, I have found some spices in the Hispanic section for much less. And cookies, I found my favorite tea cookies in one of the ethnic sections. Sometimes, dried beans are less in the ethnic sections as well. And for a real learning experience, my kids and I have been to the local Asian superstore. I can't read any of the item descriptions on the packaging, but it's very interesting. I bought long-cooking tapioca pearls there a couple of years ago. And the produce section is very intriguing. but you did try the tofu. Discovered you didn't like it and moved on. 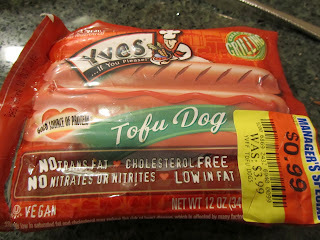 I probably didn't need to buy the 3 packages of tofu dogs, without knowing what they were like. Oh well, now I just have to find a better way to prepare the other 2 packages. I am a big tempeh fan... but that may be because it's one of the few meat substitutes that I can eat. I generally just saute it, and use it like I would cut up pieces of chicken. It's great with BBQ sauce or in a stir fry, or even in a pasta dish. Or you can crumble it and use it like hamburger, or mix it with an egg and a bit of cornmeal & some spices and make tempeh burgers. Anyhow, I used to LOVE trying new foods. I loved eating at out of the way ethnic restaurants where nobody spoke English and you couldn't even tell what you were ordering. Then food allergies struck. Sigh. Now I have to be very, VERY careful because my most severe allergies are to things that are often just labeled "spices" or "natural flavorings." It's a major bummer. Regrets, regrets. Oh well. next time I find tempeh marked down, I'll give it a try. That is such a shame that you can't eat out in the places you've always loved! Those small, family-run ethnic restaurants have some of the best food.